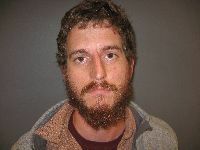 Lincoln, NE – 26-year-old neo-Nazi Taylor Wilson was sentenced to 14 years in federal prison last week for his attempted armed attack on an Amtrak train last year. Now, newly discovered materials, including leaked Discord chats from the now-defunct Traditionalist Worker Party, show that Wilson had been planning to make himself a “martyr” for the white nationalist movement, and others were aware of his intent to do so. Wilson boarded an Amtrak train on October 19, 2017 while tripping on LSD (according to his attorney) and entered the engine compartment, pulled the emergency brake, and disabled lights in the passenger area, leading many to panic and attempt to climb out of the train’s windows. After he was tackled by Amtrak conductors and detained, Wilson stated that he was “trying to save the train from black people.” On October 5, 2018, a judge sentenced Wilson on charges of “Violence Against a Transportation System” and “Possession of an Unregistered Short Barrel Rifle.” In addition to the 14-year sentence with no parole, he was ordered to pay $9,350 in restitution to Amtrak. Wilson’s Discord username is confirmed by his account on the alt-right Twitter alternative Gab.ai. The profile shows the display name ‘Taylor Wilson’ alongside the username @keksmix. The Pikeville, Kentucky rally, as well as Unite The Right in Charlottesville, was organized in part by the Nationalist Front, a recently-dissolved coalition of white supremacist groups that included the National Socialist Movement, the Traditionalist Worker Party, the League of the South, and Vanguard America. Charlottesville car attacker James Alex Fields, set to go on trial for federal hate crime charges in November, was seen marching with a Vanguard America shield before he later ran his car into a crowd of demonstrators. 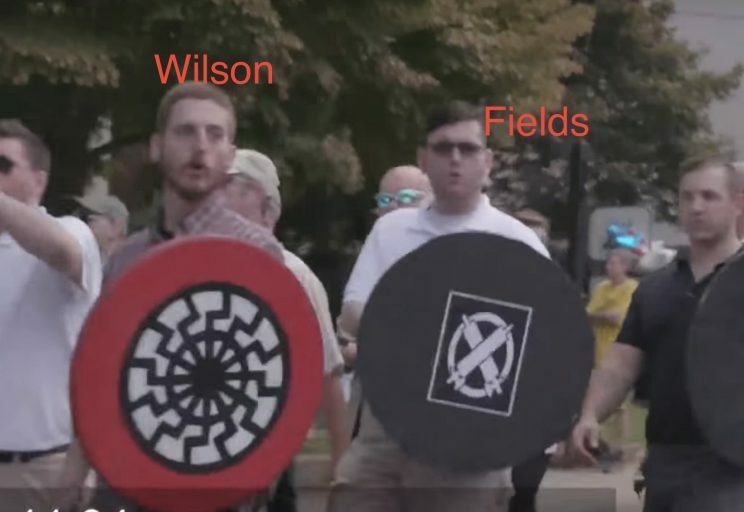 Video footage from Charlottesville on August 12 shows James Alex Fields and Taylor Wilson marching side-by-side each carrying a wooden shield. The red shield carried by Wilson, emblazoned with the neo-Nazi ‘black sun” or “sonnenrad” symbol, was part of a batch of shields believed to be distributed by Robert ‘Azzmador‘ Ray, a Texan neo-Nazi propagandist closely tied to The Daily Stormer, a prominent hate site. Taylor Wilson marches alongside James Alex Fields in Charlottesville on August 12, 2017. Please consider a tax-deductible donation to help sustain our horizontally-organized, non-profit media organization.